With voting underway since 7 am on Thursday across 18 states and two Union Territories, in 91 Lok Sabha constituencies, glitches in electronic voting machine (EVM) were reported from several parts. Over 79,000 EVMs, 42,000 control units, 46,000 voter-verifiable paper audit trails (VVPATs) are being used for which two lakh officials have been deployed across 34,604 polling stations, reported News18. Parts of Assam, Bihar, Chhattisgarh, Jammu and Kashmir, Maharashtra, Manipur, Odisha, Tripura, Uttar Pradesh and West Bengal will also vote. Coinciding with the first phase of the general elections are also Assembly polls in four states – Arunachal Pradesh, Sikkim, Andhra Pradesh and parts of Odisha. 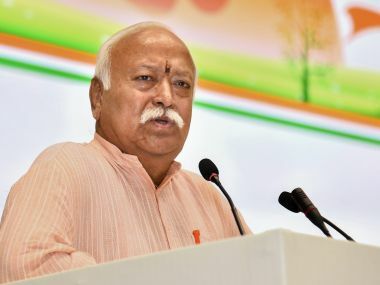 Some of the key candidates standing for the election on Thursday are five Union ministers – Nitin Gadkari (Nagpur), Kiren Rijiju (Arunachal West), General VK Singh (Ghaziabad), Satyapal Singh (Baghpat) and Mahesh Sharma (Gautam Buddha Nagar). 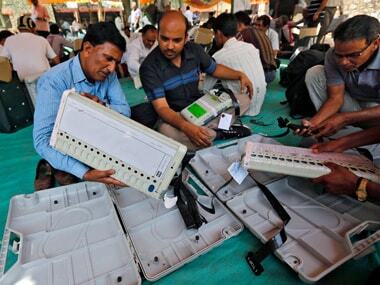 EVM malfunction was reported at a voting centre in Golaghat district under Koliabor Lok Sabha constituency of Assam. The malfunction, reported in the early hours, led to a long line of voters outside the booth. Voting also halted for some time at Acharya Sir Prafulla Chandra Ray Higher Secondary School in Agartala, part of West Tripura Lok Sabha constituency due to EVM malfunctioning. Several incidents of EVM failure were reported from Odisha. 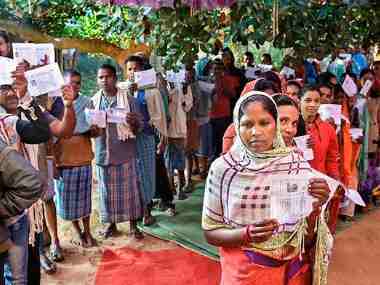 Technical snags causing delay in the start of polling was reported in around 50 booths in several places under Koraput, Nabarangpur, Kalahandi and Berhampur constituencies, an election official was quoted by PTI. BJD leader Surya Narayan Patro also alleged that there is a failure of EVM machine at several booths in the Berhampur Lok Sabha seat. Snags in EVMs were also reported from Malkangiri and Chitrakonda areas under Nabarangpur Lok Sabha seat, Lamptaput and Jeypore in Koraput and Gopalpur and Digapahandi. 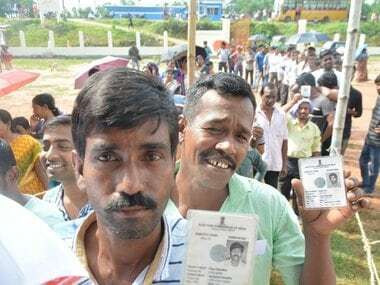 Several voters returned from a booth at Godibali under Kashipur block of Rayagada district following delay in voting due to technical glitches in EVM. Moving further East, an EVM stopped working at Anjuman School 7/236 Anjuman School in West Bengal. In Maharashtra, Wardha, Ramtek, Nagpur, Bhandara-Gondia, Gadchiroli-Chimur, Chandrapur and Yavatmal-Washim Lok Sabha constituencies went to the polls in this phase. The state had a slow start to its voting exercise despite Union minister Nitin Gadkari looking to fend off the challenge from Congress' Nana Patole in Nagpur and the Maoist-affected Gadchiroli–Chimur. Problems were found in booth number 127 (Gadchiroli-Chimur constituency) and booth number 147 (Yavatmal-Washim), with EVMs functioning extremely slowly and delaying the voting process. Congress said that it has submitted 50 complaints to the Election Commission about glitches in Electronic Voting Machines at booths across seven Lok Sabha seats in Maharashtra. It also made over 100 calls to EC and police authorities to seek action. Majority of complaints came from Nagpur, Chandrapur and Yavatmal-Washim, the party said in a statement. Former Jammu and Kashmir chief minister Omar Abdullah tweeted out a video of an election officer clarifying that polling was delayed in Poonch district at several stations because the EVM button against the Congress party was not working. 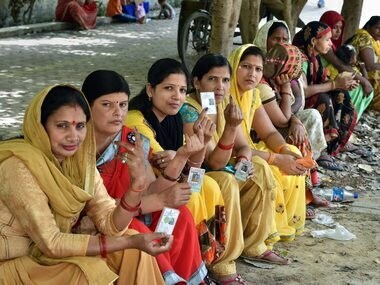 Reports said that voting could not be started at booth number 225 in Gautam Buddha Nagar in Uttar Pradesh owing to technical snag in the EVM machines. The voters have turned up in large numbers and are miffed at the delay. Similar reports filtered in from Barot, in Baghpat from booth numbers 124 and 128. Voters created a ruckus after voting was halted at the booths due to a technical glitch in the EVMs. In Bijnor, Bahujan Samaj Party candidate Malook Nagar claimed that EVMs have been tampered and BSP votes were being redirected in BJP’s account, reported The Financial Express. Andhra Pradesh chief minister Chandrababu Naidu alleged that 30 percent of the EVMs in the state are not working even as the Election Commission held otherwise. Naidu also demanded that repolling be done at several places. "Some news channels are reporting that 30 percent of the EVMs are not working, which is not correct. In total, we have 45,959 booths, and we are using around 92,000 EVMs, out of which we have got 344 issues and 25 are still pending" Gopalakrishna Dwivedi, Andhra Pradesh chief electoral officer was quoted as saying.